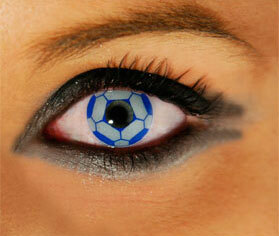 Be a true blue soccer fan with Coco Contact’s Wild Soccer lenses. People will know exactly what you are interested in plus it will give your eyes a wild an unusual look. Pay tribute to the game of soccer and get your very own Wild Soccer lenses now!